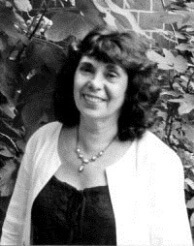 Yael S. Feldman is an Israeli-born American scholar and academic known for her work in comparative literature and feminist Hebrew literary criticism. She is the Abraham I. Katsh Professor of Hebrew Culture and Education in the Judaic Studies Department at New York University, and an Affiliated Professor of Comparative Literature and Gender Studies. She is also a Fellow of the American Academy for Jewish Research, and a Visiting Fellow at Wolfson College, Cambridge. Feldman has lectured and published internationally, and served as editor of both general and academic journals. Glory and Agony is the first history of the shifting attitudes toward national sacrifice in Hebrew culture over the last century. Its point of departure is Zionism’s preoccupation with its haunting "primal scene" of sacrifice— the near-sacrifice of Isaac, as evidenced in wide-ranging sources from the domains of literature, art, psychology, philosophy, and politics. By placing these sources in conversation with twentieth-century thinking on human sacrifice, violence, and martyrdom, this study draws a complex picture that provides multiple insights into the genesis of national sacrifice. Glory and Agony traces the birth of national sacrifice out of the ruins of religious martyrdom, exposing the sacred underside of Western secularism in Israel as elsewhere. "Feldman’s study stands as a role model for investigations of biblical tropes in modern literatures. Indeed her book may be the crowning study of the binding of Isaac. One thing is certain—its readers are unlikely to ever again encounter any kind of sacrificial narrative without harking back to Feldman’s observations." "An extremely important contribution: I know of no other study of the akedah—the Sacrifice of Isaac—that compares to this superb multidisciplinary investigation." “Ultimately,” says Benedict Anderson, national ‘fraternity’ made it possible, for so many millions of people, “not so much to kill, as willingly to die” (Imagined Communities, 7). Over half a century earlier, a fictional Palestinian Jew similarly declared on the eve of his volunteering to the British Army in WWI: “You don’t understand me: I am going to die…not to kill” (Shatz, 59). Rather, the willingness to die for one’s country, be it a fatherland or motherland, seems to derive from a much older human ‘habit’ or ‘reflex’— the universal need to secure one’s well-being by appeasing the gods, or their human representatives (Nietzsche, Genealogy, 61). This appeasement began as a gift giving, or—at times of special duress (Robertson Smith, Lectures, 361)—by giving up life itself, whether of oneself or of one’s loved ones (Hubert & Mauss, Sacrifice,100; Strenski, Contesting, 166). The young pioneers in early-20th-century Jewish Palestine, for example, were quite unambiguous in their desire to lay down their lives for the moledet [‘matria,’ motherland]. “Oh my country, my dear motherland! To you I sacrifice, giving you my meagre powers as a gift,” writes Y. Schneerson, a member of the Jewish Palestinian NILI Gang, in 1917, as he actively assists the British in liberating the land from the yoke of the oppressive Ottoman regime (Ya’ari-Poleskin, NILI, 24; emphasis mine). A year later, as a Jewish Legion was being organized within His Majesty’s Army for the same purpose, the organizers encouraged the volunteers by linking the ubiquitous old-new figure of the modern military hero as a blood sacrifice with the ancient story of the first biblical murder: “We must be ready to shed our blood on the altar of our hope [so that] our blood will cry out of the earth to all the nations.” (Hoz, 1918; in Gera, A House, 209; emphasis mine). Well, popular wisdom points to the 1940s, the decade that had to grapple with both the Holocaust and the Israeli War of Independence. Historian Anita Shapira however attributed the phrases “the love of sacrifice” and “the joy of the akedah” to the Zionist forefathers of the early 20th century. A close examination has nevertheless made clear that these idioms had been rather rare in the literary and political writings of that generation. Although “the myth of heroism and sacrifice” did dominate their language, indeed across political and generational divisions (Rachel Elboym-Dror), the figure of Isaac was not central to their ethos at all. “Sacrifice” [korban]—yes; martyrological images (Sanctifiers of God’s Name)—yes; but ‘akedah’ or ‘Isaac’—not really. Given the ubiquity of both of the latter in post-1948 Israeli discourses, this discovery comes as a real surprise. Moreover, given Hebrew literature’s enthusiastic espousal of the anti-martyric position touted by the Jewish-Russian self-defense movements at the turn of the 20th century, one would not expect to find that the Jewish martyric tradition (Sanctification of the Name [of God]) was so alive and well among the secular pioneers of Jewish Palestine. It turns out however, that despite objections by seminal thinkers—from Y. H. Brenner and A. D. Gordon to G. Scholem—the very same tropes that in the past had represented martyrs’ death in religious persecutions [mot kedoshim], were now invoked to signify heroic death in armed confrontation [mot gibborim]. As with other secular movements, Zionism seems to embody an uneasy continuity between dying for god and dying for the motherland, between religion and ‘secular’ nationalism. Whether this sentiment still falls within the realm of the Jewish Sanctification of the Name, or it has unobtrusively slipped over into its Russian Orthodox analogues, is a question I must leave open for now. The centrality of this old-new motif in European Catholic societies on the eve of WWI is quite apparent. “The theme of expiatory sacrifice likewise filled the pages of French literature as the most popular theme of Catholic writers of several generations,” says Strenski (Contesting, 46). It is against this problematic semantic overlap that I would place a turn of language that seems, at least at first blush, to have finally broken away from the language of Jewish martyrdom. Invented in WWI Jewish Palestine, this term was totally forgotten by subsequent generations. This was a terse but unprecedented Hebrew phrase—“osher akedah,” namely, ‘happiness’ or ‘bliss’ of Isaac’s sacrifice. This high valorization of death, even for a noble cause, is somewhat difficult to digest when judged from the vantage point of the “post”-days of the early 21st century. For many contemporary observers, the attribution of ‘happiness’ or ‘bliss’ to the classic Hebraic sacrificial trope seems to indicate a disturbing psychological symptom. Once we put osher akedah in context however another picture may emerge. When the Jewish Legion “left,” the heart beat and yearned for the storms to come. Who can give it names now, even now? In the atmosphere of those “days of awe” (let their memory never die! ), in the special atmosphere of volunteering, steeped with soul-longing, luminous agony, mystery-yearning, and osher akedah,the flowers of distant dreams began budding in the hidden places of the soul. Deep, deep down a grave was dug for many of them in our youthful hearts. They were unwanted by destiny, our destiny. We aspired for much, and only a little of what we wished for was given to us. So now the question is—what is podvig? The dictionary translation of ‘podvig’ is “heroic deed” or “exploit.” Examples range from Hercules’ “labors” on one hand to modern acts of military courage on the other. So why not translate it to Hebrew as “gevura” [heroism]? Or bravery, daring, courage? And what does the Binding of Isaac have to do with all of this? To add to the complexity, it turns out that Podvig is the original Russian title of Vladimir Nabokov’s novel, known in English as Glory. In this romantic-ironic novel an un-heroic hero seeks refuge from unrequited love in—what else?—heroic exploits. These exploits consist however mainly of espionage , variously described as “glorious exploits” , “courageous expedition” [150; 189], or “glory, love, and a thousand rather mysterious feelings” . To top it all, a number of Soviet action and spy films are also called “Podvig” – which the English translates as “Mission.” In other words, “Secret Agent 007” Russian style! What have all these secret-subversive connotations got to do, I asked myself, with the proud and well-publicized volunteering of the Palestinian Jews for His Majesty’s Army? Or with the Binding? It was in the liturgy of that period that a link was forged between medieval persecution, martyrology, and the Binding if Isaac. (7) The medieval sacral poets compared the trials and tribulations of their times to Isaac’s test, unproblematically describing their ancient precursor as being “slaughtered and resurrected.” It is here that the Binding was transformed – for the first time in rabbinic Judaism—into an enacted Sacrifice. (8) And it is here that we may begin to unveil the secret, the key to the association between the Russian podvig and the Hebrew “bliss of the binding/sacrifice” [osher akedah]. Was Berl Katznelson thinking of the modern, secularized use of podvig which refers to any acts characterized by heroism, bravery and self-sacrifice—for science, for social justice and, of course, in battle? (10) Ironically, he could have been exposed to this ‘modern’ usage in the oeuvre of the most Orthodox of the great Russian authors, Fyodor Dostoyevsky. In Dostoyevsky’s magnum opus Brothers Karamazov, admired and almost memorized by Berl Katznelson and his peers, podvig is a key concept, starring on both sides of the sacred/secular divide. It is certainly central to the life of the youngest brother Alyosha, a training novice in a highly conservative Orthodox monastery. But it also signifies the mundane trials and tribulations of his lapsed brothers, who struggle to muster courage and bravery without the support of the belief system they left behind. Yet all this still does not help us understand why Katznelson chose to render the secular-military connotation of podvig through a figure that, for the Jewish tradition, had never lost its religious aura. Here I can only conjecture: Was he aware perhaps of the long Christian tradition of military martyrdom that had begun way back, when the meaning of martyrdom was changed by fiat, when Emperor Constantine promised his soldiers martyrdom not for their willingness to be slain for Christ but rather for their willingness to slay in his name? Considering this particular history within Eastern Christendom—not to mention its Moslem analogue, the Jihad and even Shahidism—one can readily imagine how, with secularization, with the shift from the sacred to the profane in so-called “civil religions,” spiritual struggle metamorphosed into physical exertion, and spiritual prowess into corporeal powers. Podvig, like Jihad, is a multi-layered concept: religious-national, passive-active, mental and physical, spiritual and martial. Not so the Jewish akedah, however, at least not until the turn of the 20th century. Notwithstanding its astonishing medieval trans-valuation in the Medieval Hebrew Chronicles, where it for the first time stood for Sanctifying the Name by slaughtering one’s offspring rather than watching them converted by force, it still did not come to symbolize military martyrdom. This is why Katznelson must have felt an urgent need to translate podvig into Hebrew. A Hebraic version of podvig might signify precisely the new military horizon that was opening before his generation in the wake of the Balfour Declaration [November 1917]. Here, the traditional images of Jewish martyrdom could not suffice anymore. After all, the majority of Jewish “martyrs” [kedoshim] had not slain their enemies, nor in the end did they hasten redemption. Here there was a need to invent a new tradition (Eric Hobsbawm). The new rhetorical figure would have to express the difference between the “saintly victims” of old and “saintly heroes” of the present. All this took place however in 1919. Katznelson seems to have never returned to the buoyant idiom he had coined at that foundational moment of grace. That rare moment was drowned in the violent waves of the following decades. By the 1940s moreover the admiration for “osher akedah” was taken over by the shocking realization that “the Middle Ages had returned, more powerfully and more devastatingly,” as Habermann put it in the introduction to his new edition of the Medieval Hebrew Chronicles and Liturgy (1945). Soon enough the akedah returned too, but in a different guise. The polysemic symbolism of the Hebrew Bible was replaced now by its Christian allegorical reading, so that the originally open-ended, life-affirming story of the Binding was reduced to a single image of finality—the final oblation, the last wholly burnt offering, a holocaust, the Holocaust. How would have Katznelson responded to this turn of language? Would he have rejected or accepted the appropriation of the akedah as an emblem of victimization rather than glory or heroism? We will never know for sure (he died in 1944). What is nevertheless clear is that while in the last decade of his life he saw a plethora of enacted burnt sacrifices, they could not embrace “osher.” Reality took the sheen off the promise, the reward, the “glory.” As far as I could establish, osher akedah made only one more appearance, three decades after it was invented. And the great hour has come for the people of Israel—the hour of the war of liberation, full of heroism and blood, the bliss/glory of akedah and the agony of sacrifice; and above all hope sings of redemption and revival for the dispersed of Israel. The ambivalence expressed in this festive yet mournful moment is emblematic. In a way, the story of Israel until this very day is the dramatic struggle for and against restoring the glory of the Binding-turned-Sacrifice. It has been a long and painful struggle, in which Israeli intellectuals eventually compel us to ask how far self-sacrifice is from aggressive fanaticism, and martyrdom from sanctified terror. This is ultimately the horrendous psychological and ethical question behind the fascination that the ‘secular’ rewritings of the Hebrew sacrificial canon command today as never before. (1) Although he only stabbed Krushevan’s neck very lightly, he claimed in his trial that his people’s national honour was at stake. Of the five-year term, Dashevsky served only two for “an act that electrified his contemporaries” ( Monty Noam Penkower, “The Kishinev Pogrom of 1903: A Turning Point in Jewish History,” Modern Judaism 24.3 (2004) 187-225). Dashevsky ultimately died in a Soviet prison in 1934. (2) Strenski bolsters this argument further in Ch. 2 of his Theology and the First Theory of Sacrifice. On the analogue climate in Catholic Poland, to which Dubnow felt a special affinity and even rivalry, see David Engel, “On Reconciling the histories of two Chosen Peoples,” American Historical Review 114, no. 4 (2009): 914-929. Indeed, it is this Catholic expiatory-sacrificial reading that Girard would try to exorcise over half a century later. (3) Similar rhetoric will surface later in some of the Shoah theodicy by ultra-orthodox leaders (see G. Greenberg). (4) Kenneth Burke, The Rhetoric of Religion: Studies in Logology (Berkeley: University of California Press, 1970): “Religious modes become secularized … [while] there is also the contrary trend whereby symbols that begin secularly can gradually become ‘set apart’ through the development of a religious tradition” (36-37). (5) Both Russian and Hebrew use the same word, zhertva and korban respectively, to signify negatively valued “victims” as well as positively viewed “sacrifice,” thus illustrating the confusing overlap between these two meanings in the Russian and the Hebraic minds. (7) See Shalom Spiegel, The Last Trial. (8) For the only possible antecedent, narrated in the apocryphal book Biblical Antiquities [=Pseudo Philo] and rejected by rabbinic Judaism, see my “On the Cusp of Christianity: Virgin Sacrifice in Pseudo-Philo and Amos Oz,” Jewish Quarterly Review, vol. 97, no. 3 (Summer 2007). (10) The Russian root “dvig” means to move; with the prefix “po” its literal meaning is to transport/go some distance, and figuratively, to move the individual or the community nearer to redemption or any lofty aim, personal or national. As such it is analogous to the semantics of the Hebrew qorban, whose root also means to be/become closer to. (11) Interestingly, in the Bible the two senses of the semantic field of ‘-sh-r are intimately intertwined. See for instance the only case in which the noun form is used, though conjugated, in Leah’s statement [Genesis 30, 13]: “Happy/Fortunate am I [be-‘oshri]! For the women validate me/call me happy [‘ishruni banot]”; or the praise of “the woman of valor” in Proverbs 31, 28: “Her children rise up and validate/call her happy [vaye’ashru’ha].” For the various meanings of the stem‘-sh-r and its commonly used form (especially in the Book of Psalms) ‘ashrei [how fortunate/happy is…], see Hava Tirosh-Samuelson, Happiness in Premodern Judaism (Cincinnati: Hebrew Union College Press, 2003), 62. Inter alia Tirosh-Samuelson argues that osher in our modern sense is a latecomer, as it came to replace the medieval word hatzlahah [prosperity, success] only as Jews moved into Latin-speaking and Christian environs. Indeed, the earliest samples for ‘osher’ brought by lexicographers E. Ben-Yehuda and Sh. Even-Shoshan derive from the 16th century. Most relevant to my argument however is the fact that the NT “Beatitudes,” based on the Hebrew ashrei of the Psalms, are central to the liturgy of the Orthodox Church: Was Katznelson’s Jewish podvig [osher aqedah] indeed reappropriating the Russian Orthodox emphasis on the glory and bliss awaiting the podvizhniks in the afterlife?